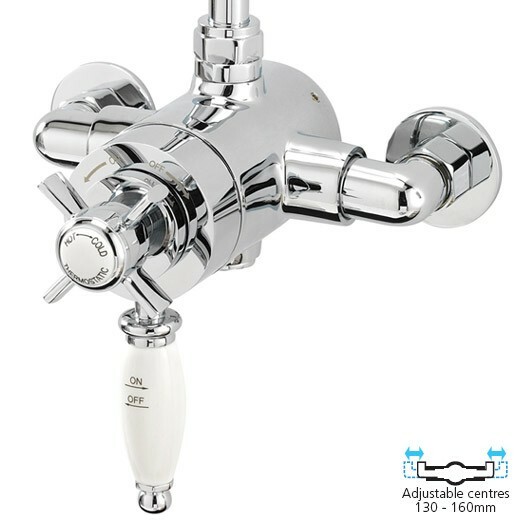 The Knightsbridge thermostatic shower is the ideal replacement for your old SF Victorian-T shower and Vienna-T shower.. The all new Knightsbridge thermostatic shower is the ideal replacement for your old SF Victorian-T shower. Pipe centers for your old Victorian T were 138 - 145mm. The new Knightsbridge pipe centers are 130 - 160mm. 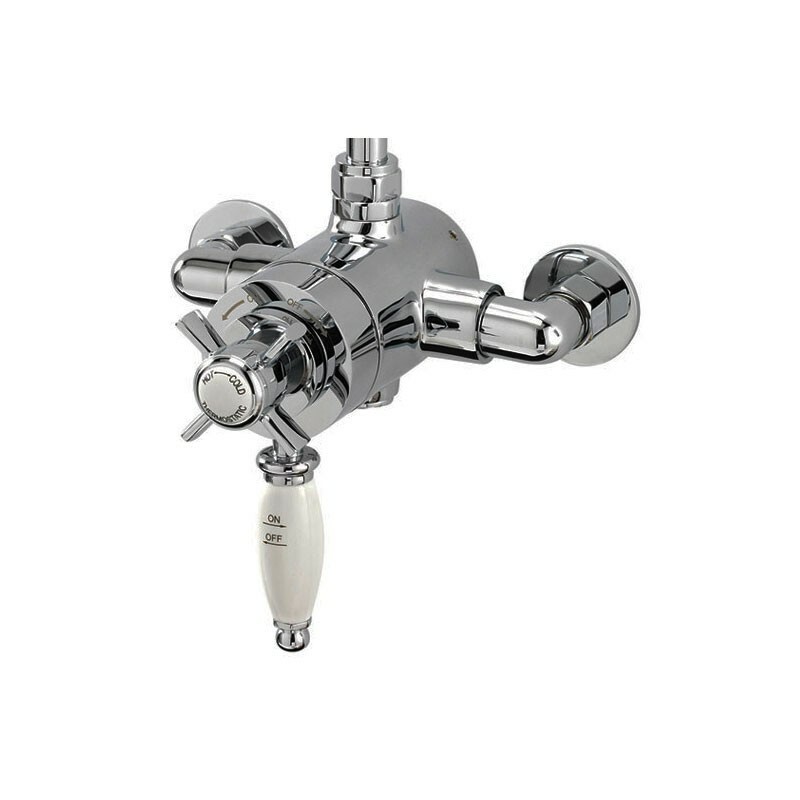 Good quality, easy to fit to existing pipework. adjustable size valve so got us out of a very sticky situation. Just what I was looking for, and looks good now fitted. Easy to install and good product. My last shower was a showerforce too. So far this shower mixer has proved an excellent replacement for our previous mixer. It was advertised as an ideal replacement and only required some adjustment to the pipework by the plumber when it was fitted. Quality item and so much better to use than my old one. Great to be able to adjust the pressure just by turning the handle. Fantastic shower, well worth the extra money. Easy to install due the adjustable inlet pipe spacing. Ideal for anyone with none standard spacing between pipeoutlets. As a replacement, the adjustability to suit the existing inlet pipes was a deciding factor. Bought shower as replacement for the Victorian model. Fitted with no hastle. Works fantastic.